Warren Gatland is to be approached by England about moving next-door when his time with Wales comes to an end. RFU interim chief Nigel Melville has revealed he plans to talk to Gatland about taking over from Eddie Jones when the current England coach steps down. Gatland finishes with Wales after next year’s World Cup, whilst Jones has a contract until 2021, although that deal is subject to review following the tournament in Japan next September. 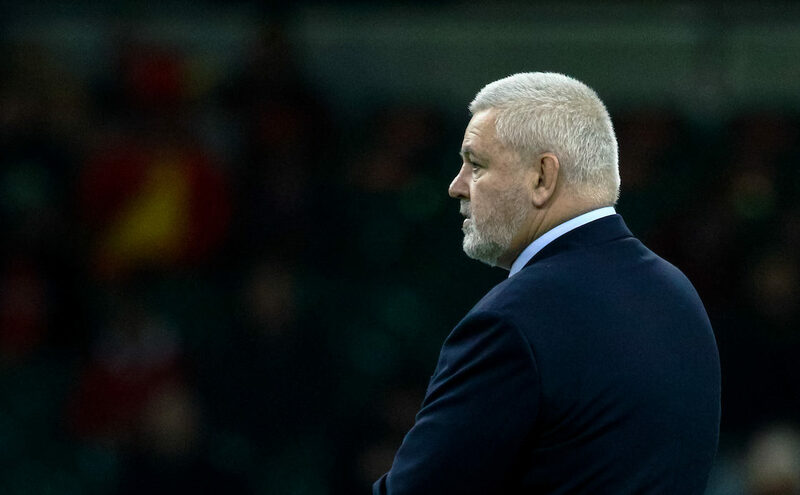 It had been thought Gatland planned to return to New Zealand but the Kiwi has been open-minded about his intentions and a move over the border might appeal for both financial reasons and as a chance to work under Melville again following their time together at Wasps. Gatland will have no shortage of offers when his 11-year stint in Wales comes to an end. The All Blacks job may not be directly available to him if he is not working in New Zealand, but other opportunities in Super Rugby are likely to be presented as are leading club jobs in both the UK and France. Melville, who stepped up last month in as interim chief following the resignation of Steve Brown, intends to compile a list of potential candidates to replace Jones with the aim of looking at home-grown coaches. Also In line for the role is Jones’ predecessor Stuart Lancaster, as well as Gatland, with Melville stating he would consider speaking to both. The moves come after Ireland stated they are appointing Andy Farrell, Lancaster’s former right-hand man, as their new head coach to replace Joe Schmidt after the 2019 World Cup in Japan. Wales also confirmed in July, Wayne Pivac would replace Gatland after the tournament in their succession plan. Lancaster has been coaching at Leinster since 2016, helping them beat Racing 92 in the 2018 Champions Cup final. He was sacked by the RFU due to a pool stage exit at the 2015 World Cup – the first host nation in Rugby World Cup history to do so. Lancaster may work under Farrell at Ireland but Melville has not ruled out an approach for the Englishman. “Why would it be a problem?” said Melville. “I didn’t get rid of ­anyone. I’ll talk to anyone who has the requisite talent to do the job for us. I am English, this is England, and, of course, it would be great to have an English coach. “I haven’t spoken to Stuart so [I’m] not sure if it’s the path that he sees for himself but we have been monitoring ­everyone for the past 18 months. Jones is the first overseas coach England have hired and he signed a contract extension until 2021 that will see him remain as head coach unless they fail at next year’s World Cup. Melville also said Jones would be a part of the consultation programme and they would “take Eddie’s feedback” as to who they include. The panel, who will make the list of candidates, will be put together in the New Year.